Delta Upsilon - ΔΥ Fraternity at University of Virginia - UVA 3.0 Goldfish Feb 21, 2019 3:11:53 PM Very average frat here. Might be on social probation this semester because of a true ambassador. Very average frat here. Might be on social probation this semester because of a true ambassador. Delta Upsilon - ΔΥ Fraternity at University of Virginia - UVA 4.0 Red State Randy Jan 14, 2019 12:32:54 PM Solid, trustworthy, focused, solid and wealthy. Some of the best at UVA. Solid, trustworthy, focused, solid and wealthy. Some of the best at UVA. Delta Upsilon - ΔΥ Fraternity at University of Virginia - UVA 1.2 Srat Aug 14, 2018 1:46:48 PM These guys are are really full of themselves. Idk why five started thinking that they are even relevant. I don’t even know what they’re philanthropy is. They also give girls a really weird vibe & something always just feels weird when they even have a party. Idk anyone that goes & if they do they can’t stand to stay for more than 20 mins. These guys are are really full of themselves. Idk why five started thinking that they are even relevant. I don’t even know what they’re philanthropy is. They also give girls a really weird vibe & something always just feels weird when they even have a party. Idk anyone that goes & if they do they can’t stand to stay for more than 20 mins. Delta Upsilon - ΔΥ Fraternity at University of Virginia - UVA 3.7 WahooYuh Jul 30, 2018 1:05:12 PM A pretty average house that’s beginning to stand out more with newer pledge classes. 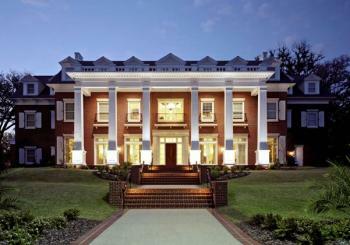 A pretty average house that’s beginning to stand out more with newer pledge classes. Delta Upsilon - ΔΥ Fraternity at University of Virginia - UVA 4.2 C '20 Jun 26, 2018 7:38:17 AM These are very classy men that are concerned about their GPA. Probably on Dean's List in HS, and parents are members of their hometown country clubs. These are very classy men that are concerned about their GPA. Probably on Dean's List in HS, and parents are members of their hometown country clubs. Delta Upsilon - ΔΥ Fraternity at University of Virginia - UVA 5.0 The Taz Feb 7, 2018 11:34:36 AM These guys are cool dudes, and not overly "fratty". These guys are cool dudes, and not overly "fratty". Delta Upsilon - ΔΥ Fraternity at University of Virginia - UVA 2.0 no Jan 26, 2018 5:32:16 PM Hard to pinpoint what's wrong but these guys just give you strange, uncomfortable vibes. Hard to pinpoint what's wrong but these guys just give you strange, uncomfortable vibes. Delta Upsilon - ΔΥ Fraternity at University of Virginia - UVA 4.2 C.Class of '19 Dec 29, 2017 2:00:37 PM Some of the best at UVA.Seem to have strong support from alum and national. Some of the best at UVA.Seem to have strong support from alum and national.